“The Wealth Building Project: Strengthening Single Mothers One Budget At A Time” provides financial education that restores and heals families economically. This 10 week program guides participants to financial freedom by teaching financial management principles through the proper use of the monthly budget as a financial tool. Single mother families will develop disciplines that lead to debt free living, financial independence and building financial wealth. This project will directly contribute to economic literacy by providing women with the practical financial knowledge that enables them to make informed decisions and choices regarding basic savings, credit management, retirement planning, and homeownership. Economic literacy empowers women and their families to become self-sufficient. To enable single mothers to have a fulfilled life unencumbered by poor financial habits and attitudes that are destructive to the family and to the individual. To reduce excessive debt and its detrimental effect on families. To provide an adequate awareness and broaden the knowledge of personal finance. 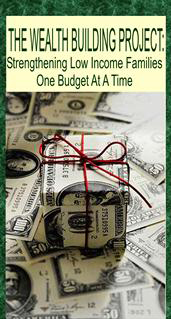 To provide a clear understanding and skills to properly utilize spending power. To increase the understanding of the principles of good money management. To increase the ability to conduct and honest evaluation of current spending patterns by establishing and using a monthly budget. 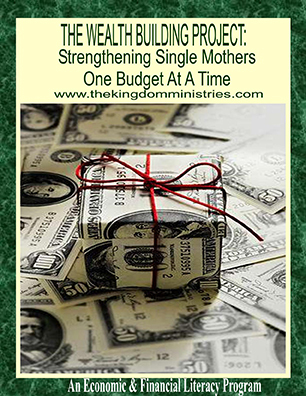 To increase the number of single mothers that are able to used a balance-spending plan.